In the time of cruelty, the Manth people march back to their homeland. They grow weak with starvation. Ira Hath, the prophetess, is the only one who knows the way - but she is dying. 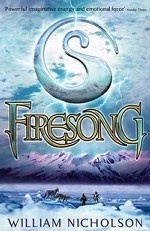 Bowman eagerly awaits his calling to join the Singer people, but when his sister Kestrel, is taken by bandits he must use his powers to find her.